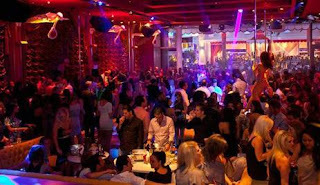 My Ultra Vegas: The Ultra Las Vegas Nightlife Blog: Spring Break in Las Vegas! Spring Break in Las Vegas! Spring Break is a hallowed American tradition. Not just for the rowdy college students anymore, the March/April search for warmer climate has become popular among people of all ages! We have the inside ticket to all the best night and day parties you want to experience! You know about the amazing Clubs and pool parties; what you might not realize is that Vegas is rife with other exciting adventures to complement your vacation. Maybe you dont want to marry a stranger, rent a ferrari or wake up hungover every day. Theres plenty of other activities one could fill their itinerary with in Vegas. Weather you want to take in a dinner and a show, Take a day trip out to the Grand Canyon or Fly in a helicopter over the strip.. We've got you covered. Of course, we know what most people really want is a good pool to chill off in during day and a vibrant night spot to heat up at night! Whatever your Vegas desire, rest assured were here to help make it come true! Leading the way this Spring Break is Encore Beach Club and Surrender night club at Encore hotel. This is Vegas at its best! 5 star all the way and a must see for yourself party with the worlds top DJ talent! Be sure to check out www.MyUltraVegas.com when planning your Ultra Vegas getaway! Ricky Hanson says, Spring Break in Vegas is awesome, one of the best destinations to celebrate a break from college in America.